Reiki is a healing art from Japan that uses a ‘hands-on’ healing experience to help facilitate deep relaxation, promote balance and an optimal state of well-being. The gentle nature of this bodywork is especially beneficial for expectant and new mothers because it helps prepare women for the physical, emotional and spiritual changes necessary for a harmonious pregnancy, labour and post-partum recovery experience. Reiki healing is especially useful for relieving the physical discomforts of pregnancy. As Reiki balances hormones and boosts the body’s immune system it can have a positive effect on easing many ailments experienced in pregnancy. A Reiki treatment is, first and foremost, time for women to balance themselves and their bodies during a time when they may no longer feel like it belongs to them. Reiki treatment can also provides a non-invasive comfort measure, helping to relieve pain from contractions and reduce anxiety during labour. The use of Reiki may help reduce or eliminate the need for an epidural or other pharmaceutical pain relief. Spouses, partners, doulas and other childbirth professionals trained in Reiki can be a valuable source of support for labouring women. Assisting a labouring mother with Reiki can provide the space and support for her to experience a centred, empowered birthing experience. It can be tremendously gratifying for the spouse or partner to be able to provide an additional source of support, creating a deep shared connection between the couple. Reiki can also aid post-partum recovery. Women’s bodies undergo tremendous change to support the new life growing inside them; it takes a while for the body’s organs and processes to return to a normal non-pregnancy state. Healing is still occurring inside a mother’s body after her baby is born, even after an easy or uncomplicated birth. For women who had a difficult labour, or a cesarean birth, Reiki can help facilitate healing on physical and emotional levels. Reiki can help new mothers maintain well-being and emotional balance during those first weeks of adjustment. This is especially important for the percentage of women who may experience post-natal depression. Clinical studies of Reiki treatments are demonstrating benefits for reducing anxiety and pain levels. Women recovering from surgery or birth trauma can benefit from this additional source of compassionate, palliative support. The medications used to relieve post-surgical pain often have unpleasant side effects, and the discomfort from the incision can make it difficult for women to hold or breastfeed their babies. Reiki treatments supports the physical healing process, enabling women to get back on their feet sooner. Reiki honours the women we are: our bodies, our emotions and the spirit within that give us strength and purpose. 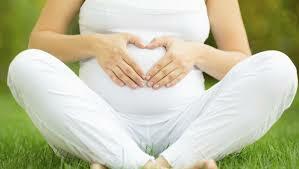 Reiki can help support you in a healthy, happy and joyful pregnancy. Dads can also benefit from the fabulous healing energy of Reiki. These treatments can help dad to realise and release any fears he may have about becoming a father, as well as the worry of how he will support mum during childbirth and once baby has arrived. For more information and to book a Reiki Treatment please email info@reikibabies.co.uk. Private one-to-one sessions are available as well as Skype/phone sessions too.